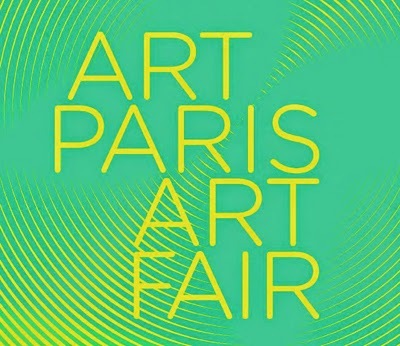 From 26th to 29th March 2015, Art Paris Art Fair brings together 145 galleries from some 20 countries at the Grand Palais. Headed by Guillaume Piens since 2012, the fair focusses on discovery and presents a wide panorama of modern and contemporary art. Art Paris Art Fair also shows design, photography and art books. The fair has undergone a profound renewal with some 50% newcomers and galleries from abroad. Since 2012, a rigorous selection process and a multi-disciplinary, dynamic approach to contemporary creation have resulted in a constant rise in the number of visitors to the fair. With a strong international focus, the fair has positioned itself as a pioneer in the exploration of regions of the world whose artistic creation is seldom, if ever, shown in France. Art Paris Art Fair looks at a different geography of the art world that takes visitors off the beaten track to places like Casablanca, Zürich, Moscow, Bucharest or Singapore. After Russia and China, Singapore and Southeast Asia are guests of honour for the 2015 edition. This platform is directed by Iola Lenzi, a curator, researcher and Southeast Asia specialist who curated the exhibition “The Roving Eye: Contemporary Art from Southeast Asia,” shown at the ARTER Foundation in Istanbul (September 2014 to January 2015). Eight Singapore-based galleries including Art Plural Gallery, STPI, Chan Hampe Galleries, Element Art Space, Yeo Workshop, iPreciation, Intersections and Sundaram Tagore Gallery will demonstrate the diversity of talent from Cambodia, Burma, Malaysia, Indonesia, the Philippines, Singapore, Vietnam and Thailand. A programme of talks and video screenings will complement this presentation of what is a little known but booming art scene. The general sector will also include a number of galleries and artists from Southeast Asia Including Burma’s Aung Ko at Primo Marella, Vietnam’s Dinh Q. Le and Bui Cong Khanh at 10 Chancery Lane Gallery, and from the Philippines, Manuel Ocampo at Nathalie Obadia and Alfredo and Isabel Aquilizan at Hélène Bailly. This year’s general sector has undergone deep changes with the arrival of modern art galleries such as Boisserée (Cologne), Luca Tommasi (Milan), Galerie Maeght(Paris), as well as others dealing in contemporary work such as Plutschow and Andrés Thalmann from Zürich, Flowers from London, Renate Bender and Tanit from Munich, Maria Lund from Paris and Istanbul’s Sanatorium and Krampf Gallery. Another novelty in 2015 is the record number of 35 solo shows: Atelier Van Lieshout (Carpenters Workshop Gallery), Thomas Agrinier (Galerie Estace) Henni Alftan (Galerie Claire Gastaud), Nicolas Alquin (Galerie Koralewski), Nilufar Banisadr (55Bellechasse), Ruedi Bechtler (Galerie Ziegler), Fouad Bellamine (Galerie Frédéric Moisan) Léa Bénétou (Galerie Des Petits Carreaux), François Calvat (Galerie Pascal Vanhoecke),Aldo Chaparro (Spazio Nuovo), Paz Corona (Les Filles du Calvaire), Stéphane Crasneanscki (Ilan Engel Gallery), Gérard Fromanger (Galerie Caroline Smulders), Francesca Gagliardi (Galerie Géraldine Banier), Shaun Gladwell (Analix Forever), Herbert Hamak (Tanit), Ren Hang (Galerie Nicolas Hugo), Patrick Hughes (Flowers Gallery), Thomas Jorion (Galerie Insula), Hur Kyung-Ae (Kálmán Makláry Fine Arts), Jane Lee (Sundaram Tagore Gallery), Frank Maier (Ambacher Contemporary), Renato Mambor (Pierre Alain Challier), Yassine Mekhnache (Krampf Gallery), Mohamed Melehi (Loft Art Gallery), Ivan Messac (Galerie Baudoin Lebon), Radenko Milak (Duplex 100m2 & l’Agence à Paris), Paul Neagu (Allegra Nomad Gallery), Dawn Ng (Chan Hampe Gallery), Jean-Pierre Pincemin (Galerie Jacques Elbaz), Jean-Pierre Ruel (Galerie Espaces 54) Julio Rondo (Galerie Andreas Binder), Lyndi Sales (Galerie Maria Lund), Sam Szafran (Galerie Claude Bernard), Swoon (Galerie L.J.). The Promises section, successfully introduced in 2013 as a way of promoting the discovery of new international talents, this year includes 12 galleries that are under five years old and are taking part in the fair for the first time. 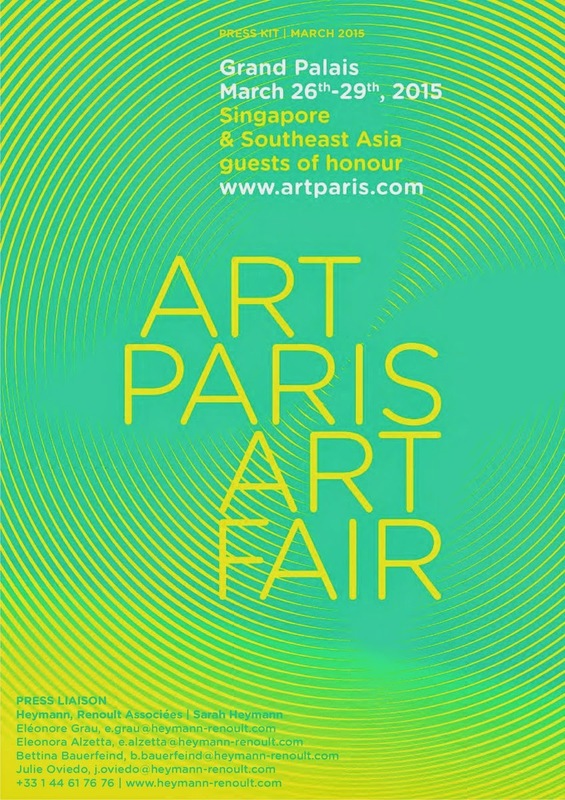 This is Art Paris Art Fair’s specific effort to help young French and international galleries become better known and reveal new talents. They include Podbielski (Berlin), Christopher Gerber (Lausanne), Heinzer Reszler (Lausanne), Jo van de Loo (Münich), TJ Boulting (London), Galerie ArchiRAAR (Brussels) and Rivière / Faiveley (Paris). The ArtDesign section explores the relationship between design and contemporary art. Now in its fourth year, it brings together carefully selected galleries presenting unique or very limited edition pieces produced by contemporary talents. Journalist Élodie Palasse Leroux, design columnist, curator (50 Years of Singapore Design), founder of Sleek Design, is overseeing the 2015 selection that includes Nec Nilsson et Chiglien, School Gallery/ Olivier Castaing and Armel Soyer. In addition, Carpenters Workshop gallery in the general sector is taking part in the fair for the first time.